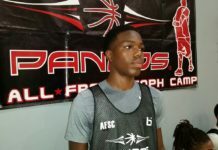 In terms of underclassmen talent, the overall collection of prospects was off the charts at the opening day of the Pangos All-South Frosh/Soph Camp outside of Dallas (TX). Greg Brown from Vandergrift (Austin, TX), however, might have been the best of bunch. 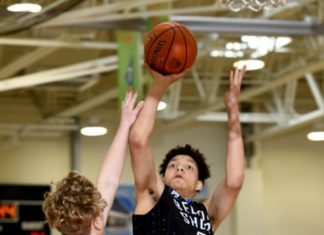 The 6-foot-8 forward in the Class of 2020 would not have had it any other way. Dominant on both end of the courts, he was unstoppable most times. 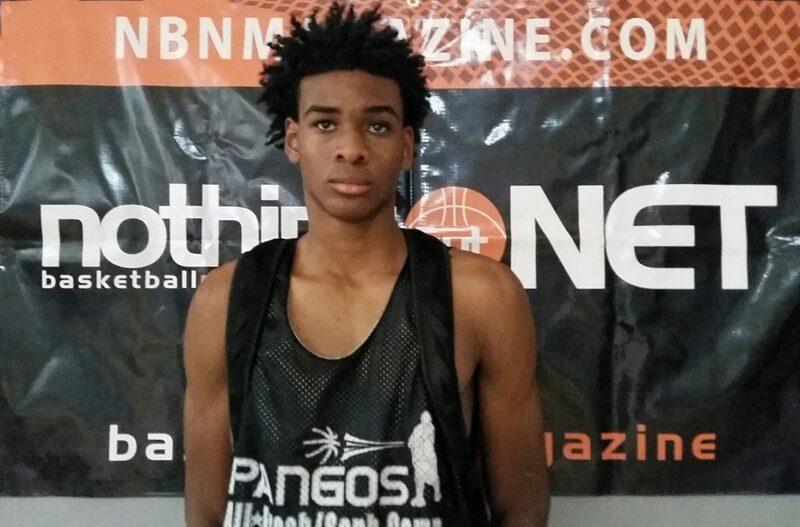 Accordingly, Brown was named among the Top 50 to track in his class by Nothing But Net Magazine. 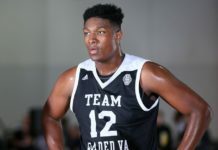 No surprise, he has a laundry list of potential suitors, with several schools showing interest. Big Ten Conference, Pac-12 Conference, etc., you name it, he has options. Media and scouts were out in force: former NBA coach Dave Miller, camp organizer Dinos Trigonis, Frank Burlison, Van Coleman and Ronnie Flores, to name a few. While the consensus appeared to be that Brown was on a different level than many, there were other individuals who did well when given the all-important opportunity. Fellow sophomores from the Lone Star State, Cade Cunningham from Bowie (Arlington, TX) and Hayden Brittingham from Crowley (Ft. Worth, TX), opened up everyone’s eyes. 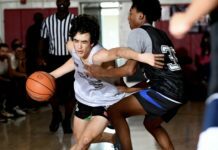 Worth mentioning, the same thing can be said about 10th graders such as Jerry Iliya from CGM Academy (Phoenix, AZ) and Moses Moody from North Little Rock (AR). In the end, however, Brown nearly stole the show. It will be interesting to see how he does during the camp’s upcoming final day. Stay tuned for all of the details.